Terracotta (or "Clay") roof tiles present a slight challenge in comparison to similar but flat concrete tile roofing. The curving edges make the removal process take longer, while we often see much more dust when removing the debris from the roof. 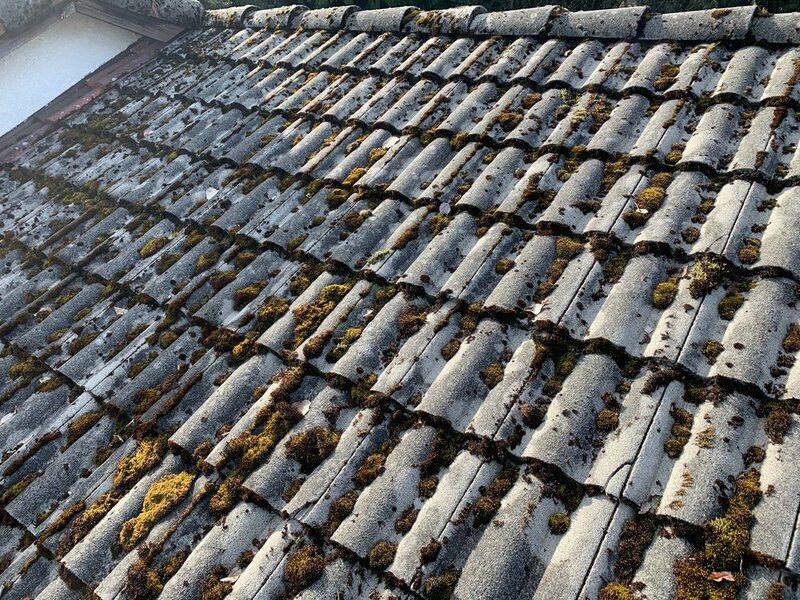 This style of roof also requires greater caution when walking on them, especially in the valleys, on the ridges, and on the rest of the tiles in general when they are thinner. Nevertheless, it remains a common roof type that our team can take care of! Just like the concrete tiles, terracotta roofs often see chips, cracks, and tile displacement due to factors such as animals, weather, and imperfect installation. Our team looks out for these issues prior to cleaning the roof and will inform you if there is anything of concern.